It’s estimated that at least 20 percent of the population will be diagnosed with dementia by 2050. This growth rate urges successful diagnosis, primarily to tailor an individualized treatment plan for initial and future care. While the exact numbers are unknown, it is presumed the prevalence of undiagnosed dementia is high, posing the risk of potential dangers to the affected individual and surrounding caregivers and others. According to the Alzheimer’s Foundation of America, it is estimated that about a half million Americans under the age of 65 have some form of dementia. Further estimates project at least 20 percent of the population will be diagnosed with dementia by 2050. This growth rate urges successful diagnosis, primarily to tailor an individualized treatment plan for initial and future care. While the exact numbers are unknown, it is presumed the prevalence of undiagnosed dementia is high, posing the risk of potential dangers to the affected individual and surrounding caregivers and others. Despite the significant impact dementia displays, missed and delayed diagnosis in primary care occurs for a number of reasons. Although clinically diagnosing the condition is difficult, a lack of communication, educational resources, and frequency of patient-provider contact may also lead to undiagnosed dementia. And according to a recent study in the Journal of the American Geriatrics Society, older adults with probable dementia, showing the signs of dementia but are not formally diagnosed, are twice as likely to engage in potentially unsafe activities, including driving, cooking, and the management of medications and finances. Undiagnosed dementia may cause individuals to not only forget how to prepare meals, but disregard their desire to eat altogether. This poses great concern, as seniors are already at risk for malnutrition related to isolation and depression, difficulty chewing and swallowing, and changes in digestive processes. Not acknowledging this phenomenon can compromise and down spiral present health. Dehydration is a continuous concern in the elderly population, primarily related to a reduced thirst mechanism. Like adequate meal intake, discounting sufficient water or fluids may cause dehydration and cause severe, to potentially fatal consequences, including confusion, weakness, dizziness, and fainting. Not only can malnutrition and dehydration compromise health, but unmanaged conditions may surface greater medical concerns. Or in particularly, when seniors neglect their current health status by forgetting to take prescribed medications or check blood pressures and sugars. Ultimately, malnourished and dehydrated individuals can experience only internal harm, but significantly increases their risk of physical injury. 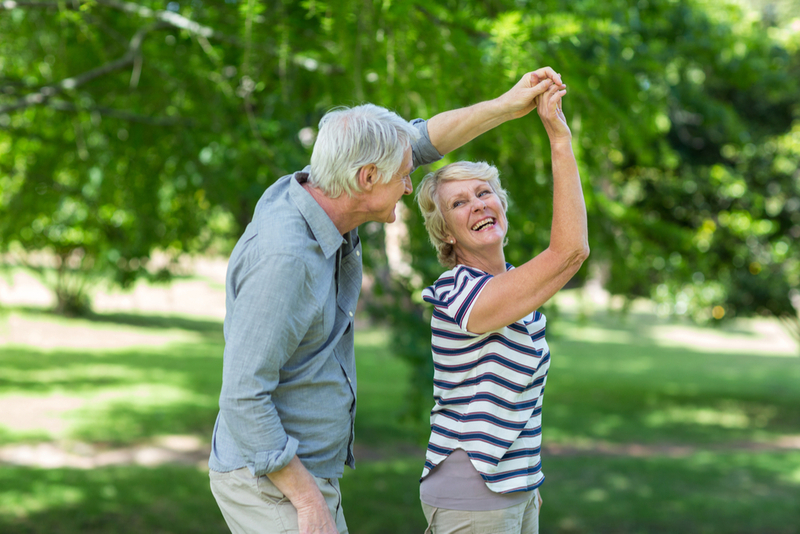 Weakness and confusion can ultimately lead to the risk of falls, especially as bone density weakens and muscle mass deteriorates. And when health is significantly negotiated when physical injuries occur, seniors have a harder time recuperating and may never completely recover. Related to compromised senses such as eyesight and visual perception, driving may be a risky task for seniors. And while it may be admirable to remember a doctor’s appointment, steering behind the wheel may lead to potentially severe accidents, including the involvement of additional bystanders. Additional accidents, such as when cooking with utensils and equipment in the kitchen, may also occur. People with dementia may forget to check the mail for bills, pay on time, or how to manage them. While a missed bill or mismanagement here and there may be an innocent mistake, continuously doing so may lead to financial trouble. There is still more to be known about dementia. However, as caregivers for our loved ones, we can aim to learn more about the condition and identifiers that may spark concern. Identifying and addressing these worries can lead to greater future outcomes, including heightened safety. Along with identifying the dangers of undiagnosed dementia, study leader Halima Amjad went onto address those living with dementia, diagnosed or undiagnosed, engaged less frequently in potentially unsafe activities with possible or no dementia. More specifically, 23 percent with probable dementia went driving, compared to 56 with possible dementia and 84 percent with no diagnosis. This lowered statistic may be contributed to self-awareness or family members regulating such activities as the disease progresses.